Treat your loved one to a romantic flight above London with this private London Eye experience for two. Inside your very own capsule, sip your way through a bottle of Pommery Brut Royal Champagne as you take in unparalleled views of the city’s famous skyline. See Big Ben, the Houses of Parliament, St Paul’s Cathedral and more, and learn about each site using the onboard interactive guides. 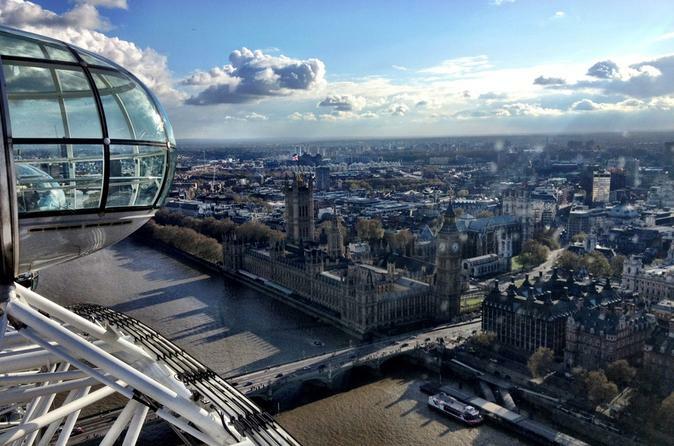 Your experience also includes priority boarding and admission to the London Eye 4D Experience, for a multi-sensory look at the English capital. A maximum of 2 people per booking is required.